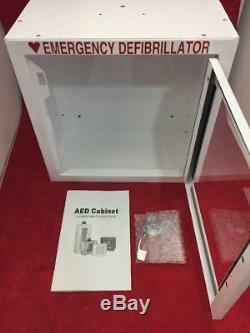 ONE NEW AED Emergency Medical Defib Cabinet Steel Wall Mount White Finish 13.5x13x7. Cabinet only, no other equipment, accessories or supplies. 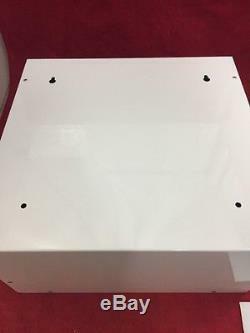 Cabinet has 4 holes on the back for mounting to wall. 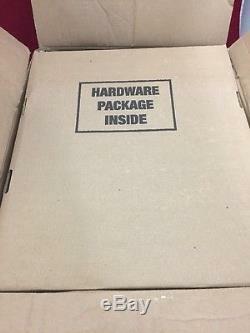 Item is new, but box has been opened. Photos may be of similar items from the same bulk lot. The sale of this item may be subject to regulation by the U. Food and Drug Administration and state and local regulatory agencies. 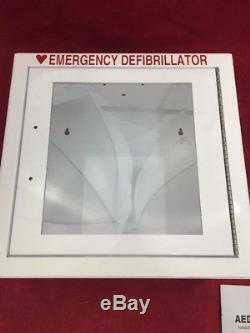 Regardless of the origin of the equipment, documentation provided or identification appearing upon the equipment, the equipment described and offered here is in no way certified for, recommended for, or offered for any specific use. Please be sure that the item that you are purchasing can be imported into your country. 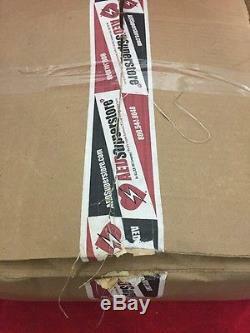 Shipper is not responsible for any delays once the package leaves our facility. 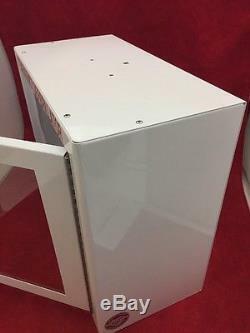 The item "NEW AED Emergency Medical Defib Cabinet Steel Wall Mount White 13.5x13x7" is in sale since Wednesday, August 23, 2017. This item is in the category "Business & Industrial\Healthcare, Lab & Life Science\Medical Equipment\Furniture\Other Medical Furniture". The seller is "eagle-us2015" and is located in Waynesville, Missouri.